We developed the preferred method for the reconditioning of textiles containing solvents, oils, etc. Our modern facilities with our proprietary onsite mini-petrochemical refineries, coupled with our operating philosophy, dramatically reduces exposure to liability under DOT and EPA (CERCLA and RCRA) regulations. 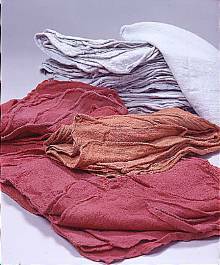 We specialize in cleaning heavily soiled textiles that are problematic for traditional industrial laundries. Eliminates the associated liabilities when your wipers are processed by companies utilizing water washing technology as their primary process. Because we focus on heavily soiled items, we are able to provide superior service with quality products. Our unit price is what you pay! There are no add ons such as: environmental, energy, or delivery charges. Most wipers used by printers contain liquids that may be considered hazardous. We transport all printer wipers in sealed DOT/UN specification containers, not plastic or nylon bags or open racks. Brent Industries, Inc., 10501 Highway 5, Brent, AL 35034. Tel: 205-755-6299; Fax: 205-755-4854.